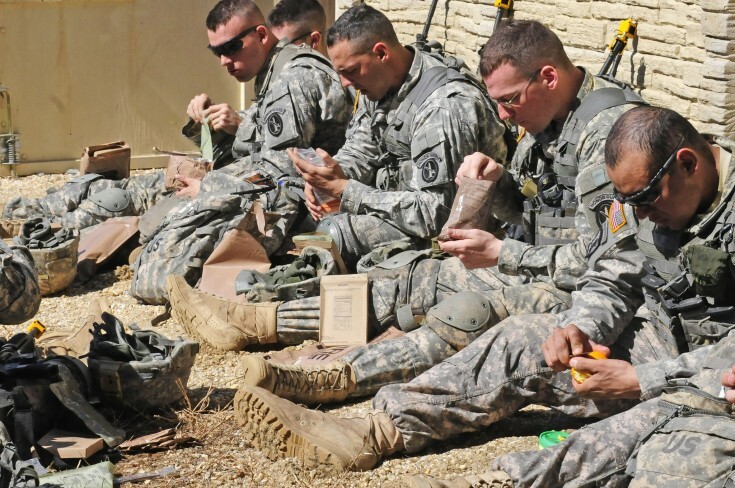 The military isn’t known as a place to find a good meal. But people who serve in the armed forces are trained to overcome ANY obstacle -- even those standing in the way of deliciousness. 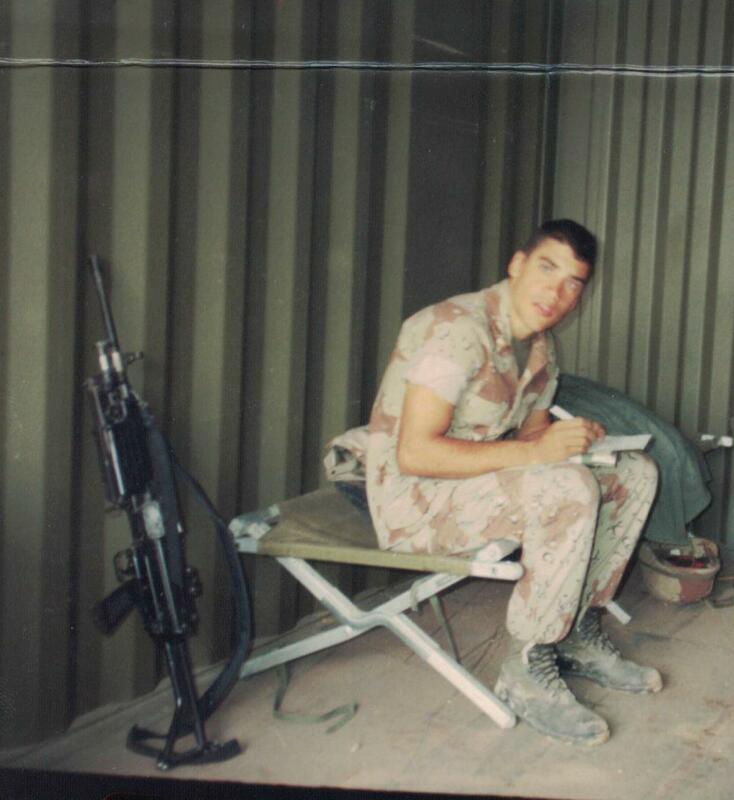 So when we asked veterans to call in and tell us about their memorable meals in combat, we got a lot of good stories. "You know these 50 gallon oil drums? They’d cut it in half and weld a barbecue," says George Hanley, who served in Vietnam. "And we'd go up on the roof of the French villa [and have a barbecue]...it was fabulous!" 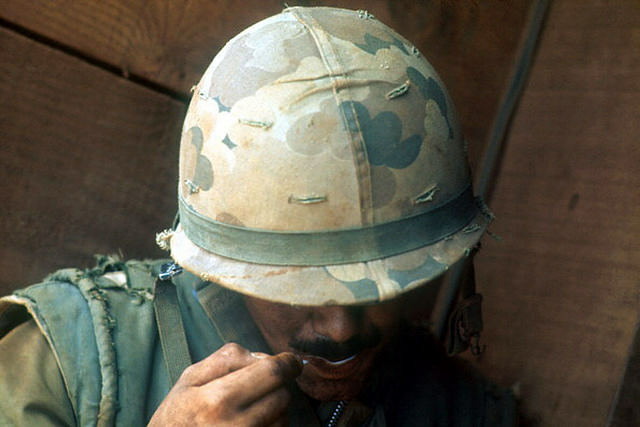 In honor of Veteran's Day, this week on The Sporkful we're talking to veterans about eating in combat -- from fishing with grenades in World War II and rooftop barbecues in Vietnam to bartering with Girl Scout cookies in Iraq after the U.S. invasion. We'll also hear soldiers' tricks for everything from eating on a warship to making the most of infamously terrible MREs (Meals Ready to Eat). 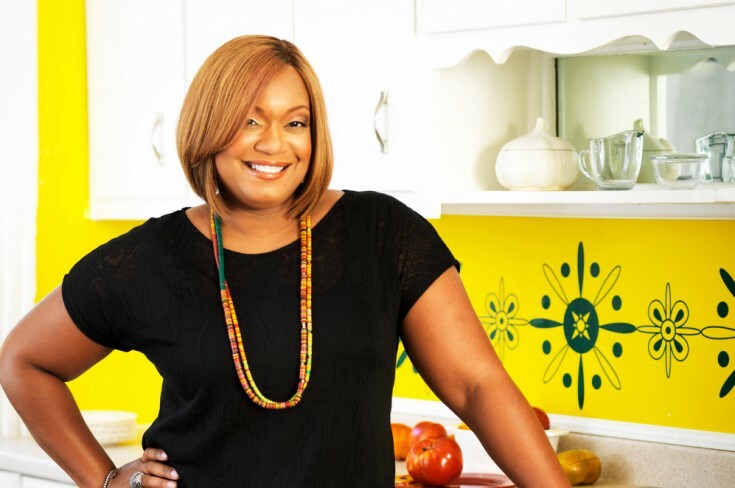 And Food Network star Sunny Anderson will tell us how growing up in a globe-trotting military family made her the accomplished Eater she is today. 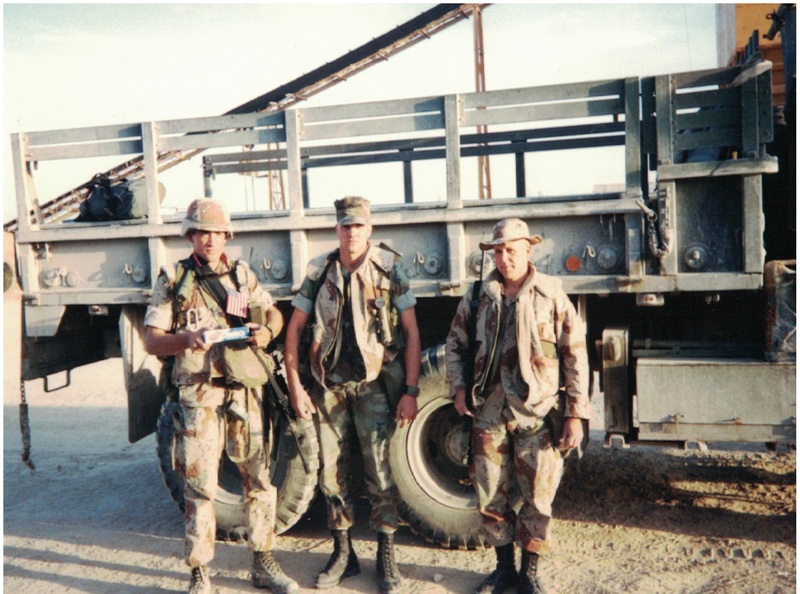 We start with one especially wild story about a young Marine corporal from New Mexico who served in Saudi Arabia during the first Gulf War. "I was young and looking for action," says Charles Hedrick. 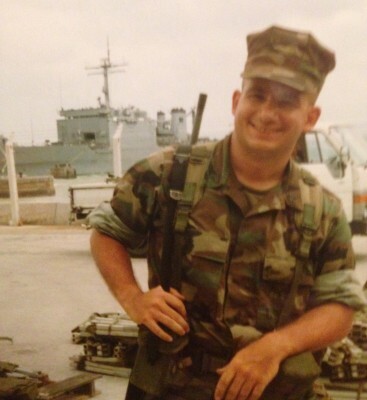 "I wanted to get into combat." Charles volunteered to go to the front lines. He wound up in a metal shipping box (below) in the Saudi desert -- not far from Kuwait, where the fighting was happening. Charles and the four other guys living in that box were told to await orders. After a few weeks of killing time, they heard a rumor about a civilian settlement nearby, where they could do laundry. Charles (below, with his last box of oreos) and his friends Rob (below center) and Scott (below right) didn't know anything about those civilians and they didn't have a map. But they set out walking into the desert with their guns and their dirty laundry. "This was the experience that I'd signed up for," Charles says. "I was going to let it take me where it would." Eaters, you will NOT believe what Charles and his friends found out there in the Saudi desert. Charles lived to tell the tale, but the experience changed him forever. Listen in to the full episode to hear what happened -- and to hear plenty of other anecdotes from veterans about food on the front lines. Last but far from least -- to all the veterans out there, thank you for your service!